Walton Lake is a popular recreational reservoir located 31 miles northeast of Prineville on the Ochoco National Forest. It is at the head of Camp Creek, which is a tributary to Ochoco Creek. The site was once a diversionary dam used to supply water to the mining region near Howard and Scissorsville. 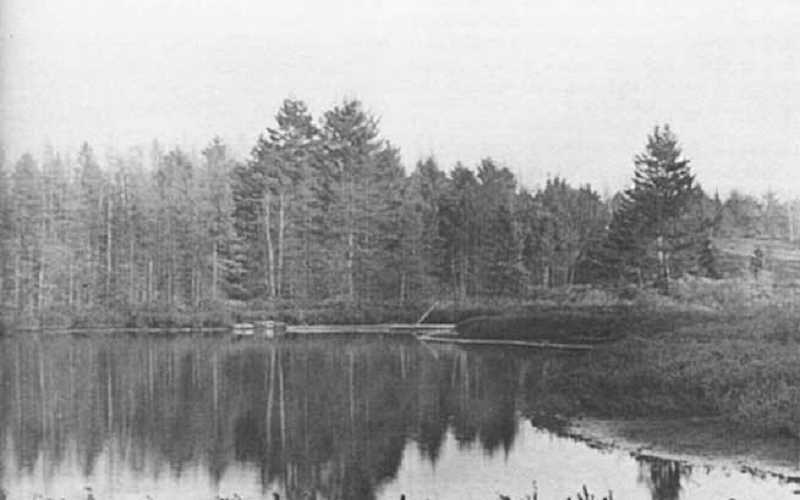 The lake was called King's Reservoir during the mining period. The site attracted the interest of the Izaak Walton League and the Ochoco National Forest as a possible location for a recreational site in 1953. Cooperation between the two organizations led to a dam being constructed in late November 1953. The Izaak Walton League of America was founded in 1922 by 54 avid anglers. Their goal is to conserve outdoor America for future generations. The league was instrumental in upgrading and repairing the site for recreational use. The organization is named in honor of Izaak Walton, the 17th century author of the "Compleat Angler," a classic book about the art and spirit of fishing. Construction crews from Hudspeth Pine Inc. and Crook County constructed a 300-foot long earth and rock-filled dam to impound waters to form Lake Walton, and it was intended to become the newest recreational center of Crook County. The fill for the dam, 154-feet thick at the bottom, 30-feet high and 18-feet wide on top, required 15,000 cubic yards of earth and rocks. The project created a 25-acre lake. The project was officially dedicated in the spring of 1954. The Forest Service established camping facilities on the lake shore, and it was originally intended to subdivide some of the surrounding timber to be leased sites for summer homes. More than 30 applications for the sites were received before completion of the project. The summer home project was eventually not adopted. The state game commission agreed to stock the lake with legal sized rainbow trout annually. The new lake was named for the Prineville Izaak Walton League that jointly sponsored the project. The Izaak Walton League filed water rights on Ochoco Creek and at King's Reservoir on April 18, 1960. The site is now the most popular campground and recreational facility on the Ochoco National Forest. It is primarily used for fishing activities, but the site has camping, hiking and sightseeing opportunities.